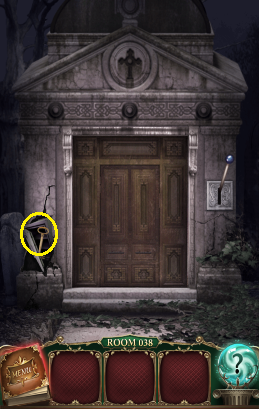 Repeatedly tap the broken wall to reveal the safe. 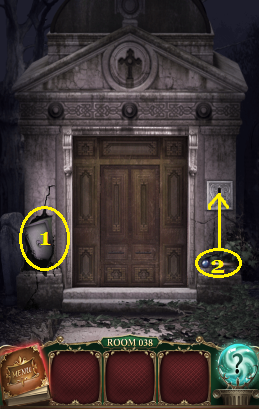 Pick up the lever and place it in the slot on right wall. Pull lever.